Quadrilaterals are known as four sided polygon. 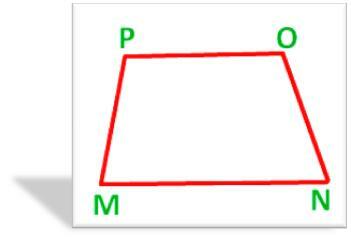 A closed figure made of our line segments is called a quadrilateral. The adjoining figure is called a quadrilateral ABCD or BCDA or CDAB or DABC. The adjoining figure is called a quadrilateral MNOP or NOPM or OPMN or PMNO.